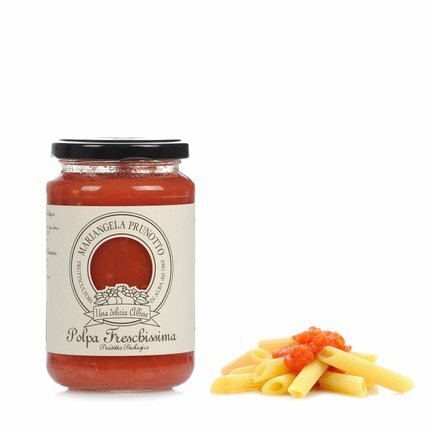 To make this delicious sauce, Mariangela Prunotto only uses organic tomatoes processed within 48 hours of harvesting to transform them into this delicate sauce flavoured with basil. This is the only way you can enjoy the true flavour of fresh tomatoes all year long, and combine it with delicious pasta dishes. A concentrate of quality and freshness for your table!